Maritza Sanchez - Culturati Research & Consulting, Inc. - Culturati Research & Consulting, Inc. Being born and raised in Mexicali, Mexico (a border city) makes me a Culturati. I grew up immersed in both Mexican and American culture. I spent a bulk of formative years in Mexico, but had the opportunity to attend high school and a couple of years of college in the U.S. I lived in the U.S. for about four years until ultimately moving back to Mexico to complete education. As such, I had the opportunity to truly experience the best of both sides. While attending college (university) in Mexico, I was given the opportunity to work as an English-language teacher at the local public university where I fell in love with teaching and working with people. This teaching period lasted for 5 years and made me realized I had a talent for working with people. Eventually I had to walk away from that job but I reconnected with this passion through working in market research– if not teaching people, definitely learning from them. I am the type that enjoys a quiet life, spending time at home, reading a good book, and enjoying the company of my family. I would say my main focus at this point in my life, besides work, is my family. I try to spend as much time as my constant traveling allows me to at home with my husband and two kids (a 5 year-old and a 10 month-old). I am really just trying to enjoy every minute spent with them and embracing the wonderful responsibilities and many challenges that (being a mom) entails. What makes you a strong Culturati moderator? 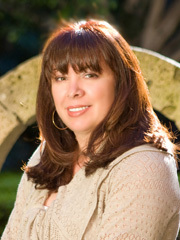 Maritza joined Culturati Research & Consulting, Inc. (Culturati) in 2004 and has been instrumental in establishing research traditions in ethnographies, mystery shopping, exploratory focus groups, Comadre triads, and friendship dyads among other creative qualitative methodologies. Her engaging and versatile moderating style allows her to build rapport, effectively communicate with, and understand consumers of all backgrounds and ages.